In Christianity Today, Gordon Govier has identified “Biblical Archaeology’s Top 10 Discoveries of 2017.” He and I discuss his article in the latest The Book and the Spade. Haaretz has produced a list of stories they published each month. Atlas Obscura identifies “the 50 Greatest Finds of 2017” from all parts of the globe. Bible History Daily posts a list of the top 10 blog posts that received the most web traffic in 2017, but none are related to an archaeological discovery this year. Live Science has created a slide show of the “big year” that 2017 was for biblical archaeologists. Bryan Windle has compiled a list of top ten discoveries in biblical archaeology based on his weekly updates for the Associates for Biblical Research. The International Business Times has published a list of the 11 most significant archaeological discoveries of the year. What did we miss? If you see any other lists, add a comment below or send me an email and I will update this list. We wish a happy new year to all our readers! Many plans were announced over the year that we linked to in weekend roundups. You can decide for yourself what you would consider most important and what you think will never materialize. And you can check back in a few years and see what dreams have come true. Israel’s Tourism Ministry has approved construction of a 4-mile-long cable car line connecting Upper Nazareth and the lower slopes of Mount Tabor. Construction has begun on the “Sanhedrin Trail,” running from Beth Shearim to Tiberias. It will be a “smart” trail that “will communicate with the hikers using an innovative, augmented reality-based application.” The project also includes the building of a visitor’s center in Tiberias. Solomon’s Pools will be renovated with a $750,000 grant from the US Consulate in Jerusalem with hopes of turning it into a major tourism site. A $14 million elevator will be built at the Western Wall Plaza to allow the elderly and disabled to go to the Jewish Quarter. The 7-year long excavation project of Carchemish has ended and the Karkamış Ancient City Archaeological Park is supposed to open on May 12, 2018. Plans are underway for a restitution (reconstruction?) of the Mausoleum at Halicarnassus. There were a number of interesting and significant stories this year that didn’t make it into the “top ten” list we posted yesterday. Excavations in the City of David revealed evidence of Jerusalem’s fall in 586 BC. The massive “Spring Tower” built over Jerusalem’s Gihon Spring may date to the 9th century BC, instead of to the Middle Bronze Age. Ten jugs from the time of Eli and Samuel have been discovered in excavations at Shiloh. Archaeologists working near biblical Aphek have discovered a large water reservoir dating to about the time of King Hezekiah. The team working at Tel Burna has uncovered more evidence attesting to Canaanite ritual activity. Scholars at Tel Aviv University have used multispectral imaging to reveal text on ancient “blank” potsherds from the First Temple period. A study of LMLK seal impressions reveals that there was a massive spike in the earth’s magnetic field in the time of King Hezekiah. Early excavation work at Kiriath Jearim revealed a 9-foot-wall. Archaeologists excavated a dolmen on the Golan Heights with a 50-ton capstone and unique artistic decorations. Archaeologists excavating in the Timna Valley near Eilat discovered fabric dyed red and blue. Archaeologists excavated an Edomite/Idumean temple in a live-fire zone near Lachish. Archaeologists have reported the discovery of a large ritual bath(mikveh) at Macherus. Archaeologists have discovered a cave on the cliffs above Qumran that held Dead Sea Scrolls until it was looted in the mid-1900s. Eleven caves have previously been identified containing ancient scrolls, but no new ones have been discovered since Cave 11 was found in 1956. Fragments of a second “arch of Titus” were discovered in Rome. A large 4th-century AD winepress was excavated in the Ramat Negev region. Archaeologists discovered a well-preserved Roman-period road in the Shephelah of Judah. A 6th-century mosaic discovered near the Damascus Gate in Jerusalem has a Greek inscription mentioning Emperor Justinian. The Museum of the Bible opened in Washington DC. Hershel Shanks retired from Biblical Archaeology Review, a magazine he founded in 1975. Various plans were announced this year. Check in tomorrow for our “hopes and dreams of 2017” edition. What are the top discoveries of the year? Here is my list, based on a review of the stories and roundups posted on the BiblePlaces Blog throughout 2017. 1. Dozens of seal impressions naming officials of the First Temple Period were found in the City of David. 2. A capital from Solomon's Colonnade was discovered in Temple Mount Sifting Project. 3. A Timna copper mining camp was dated to time of David and Solomon through the analysis of donkey dung. 4. New excavations at el-Araj challenge the identification of et-Tell with Bethsaida. 5. A small Roman theater was found next to the Western Wall of the Temple Mount. 6. Evidence of the Roman destruction of Jerusalem was discovered along the road from the Pool of Siloam to the Temple Mount. 7. Merneptah’s destruction of Gezer was found, corresponding to its mention in the Merneptah Stele. 8. The Augustus Temple Altar foundation was unearthed at Caesarea. 9. Analysis of the traditional tomb of Jesus in the Church of the Holy Sepulcher supports a 4th-century date, as long believed. 10. Seven inscriptions were discovered in three Byzantine churches excavated in Galilee this summer. All ten of these come from Israel, and five come from Jerusalem. Three are related to the Old Testament, and six are from the world of the New Testament. Tomorrow I’ll post a list of other significant stories and discoveries from the year. The first-ever issue of Biblical Archaeology Review without Hershel Shanks at the helm has been published. This annual excavation issue also includes articles on an ancient Jerusalem trash dump, Canaanite art at Hazor, and the Ketef Hinnom silver amulets. Carl Rasmussen explains Paul’s walk from Troas to Assos with photos and a map. A writer for The New York Times describes his visit to Alexandria. A study shows that black ink from Egyptian papyri contains copper. The Egyptian government is working on a bill to increase the penalty for smuggling antiquities to life imprisonment. Police in Turkey have recovered over 26,000 artifacts from a smuggling ring in Istanbul. The German Protestant Institute of Archaeology in the Holy Land (GPIA) has launched a new website for its project DOJAM – Documentation of Objects in Jordanian Archaeological Museums. The winter issue of the Oriental Institute’s News & Notes is online. The ancients used meteoritic material in the forging of daggers, axes, and jewelry. Rome will begin charging tourists to visit the Pantheon. The New York Metropolitan Museum purchased a 14th-century illuminated Hebrew Bible before it was to be auctioned by Sotheby’s. How did the 1917 Jerusalem surrender flag end up in Ohio? William Dever, Carol Meyers, and Israel Finkelstein were among those receiving awards at the 2017 ASOR Annual Meeting. LiveScience suggests some major finds in biblical archaeology in 2017. Archaeologists working in Turkey have uncovered evidence related to the collapse of the Assyrian empire. The first phase of the renovation of St. Catherine’s Library is complete. The BBC tells the story of the relocation of the modern inhabitants of ancient Gadara through its former security guard. The third issue of the newsletter of Tel Aviv U’s Institute of Archaeology includes field reports from this year’s work at Ashdod-Yam, Kiriath Jearim, Beth Shemesh, and the City of David. Ferrell Jenkins shares a beautiful aerial photo of Jerusalem from the west. A writer for Haaretz (premium) asks, Why doesn’t Israel have a museum for Jesus? LiveScience looks into the backstory of a bone that Oxford scientists believe comes from the real St. Nicholas. The city of Nazareth has cancelled Christmas celebrations in protest of Trump’s decision to recognize Jerusalem as Israel’s capital. Was the census that brought Jesus to Bethlehem a coincidence? Among the specials for Accordance’s 12 Days of Christmas is the Biblical Archaeology Review (1975-2012). We’ll have part three of the roundup tomorrow with another dozen stories. Registration for Walking the Bible Lands ends today. If you haven’t checked out the new free Christmas videos about “The Promise that Changed the World,” you can do that here. By joining Walking the Bible Lands, you get great new content every month, plus several bonuses right now. Everything is explained right here. Registration closes at midnight and the price will never be this low again. Check it out here. At a faculty roundtable last month, we went around and answered a series of questions for our students majoring in Biblical Studies. One question asked was, “What is the best book you’ve read this year?” My answer was Reading the Bible with Rabbi Jesus, by Lois Tverberg. Officially the book doesn’t release until next month, but that’s too late for Christmas. And I’ve learned that the author has some copies available now. I want to encourage you to consider buying one or more, from her directly, before it’s available at Amazon and other bookstores. Just what exactly did Jesus share with his disciples on the road to Emmaus? This excellent book unfolds so many valuable truths in the Scriptures that are often ignored or misunderstood. Lois Tverberg is a trustworthy guide whose insightful discoveries provide a delightful appetizer to some of the most exciting passages in the Old Testament. I'm recommending it to everyone I know. This book addresses many of my favorite subjects, including individualism vs. community, intertextuality, and the concept of a righteous king. This book highlights some of my favorite OT passages, bringing out the glory of Isaiah 53, Daniel 7, Zechariah 9, and 2 Samuel 7. This book is full of truths that are precious to me from my study of Jesus’s Bible (aka the Old Testament). I don’t think these truths should be radical, but it took me too long to learn them and I find my students are usually ignorant of them. This summer my family memorized Isaiah 11-12. If that strikes you as strange and you’re asking, why not something “practical” such as in the Book of James, then this book will definitely help you understand why I want my kids’ brains steeped in this glorious passage of Isaiah. Frankly, most of us Christians have done it all wrong, starting at the back of the book (in the New Testament) and wondering why certain things don’t make sense and why the Old Testament is mysterious in so many places. 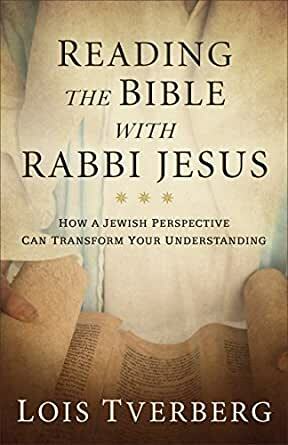 We need to start at the beginning, and I highly recommend Reading the Bible with Rabbi Jesus as an easy way to get you excited to do that yourself, with your family, or in your church or Bible study. You’ll be able to buy it in bookstores next month, but I would encourage you to consider buying it directly from Lois now because: (1) you can give them as presents; (2) you’ll be supporting the author directly, and she deserves the reward for her many years of labors on this! One hundred years ago today, British General Edmund Allenby entered Jerusalem on foot and issued a proclamation declaring British control of the city. Two days earlier the Turkish authorities had surrendered, ending 400 years of Ottoman rule (1517-1917). The photographic department of the American Colony was on hand to capture these historic moments. The most famous photo shows the mayor of the city surrendering to the British with a white flag. Below is a photograph of the letter of surrender. General Allenby was advised to make a contrast of his entrance into Jerusalem with the rather ostentatious ceremony of the German Kaiser Wilhelm II in 1898, and he dismounted his horse to walk through Jaffa Gate into the city. Around the corner stands the entrance to the historic “Citadel of David,” and on its podium Allenby read a proclamation. The proclamation was translated into six other languages and posted throughout the city. To the inhabitants of Jerusalem the Blessed and the people dwelling in the vicinity: The defeat inflicted upon the Turks by the troops under my command has resulted in the occupation of your city by my forces. I therefore here and now proclaim it to be under martial law, under which form of administration it will remain so long as military considerations make it necessary. However, lest anyone of you be alarmed by reason of your experience at the hands of the enemy who has retired, I hereby inform you that it is my desire that every person should pursue his lawful business without fear of interruption. Thus Allenby declared that while the city was under martial law (as the Great War continued for another year), he guaranteed the status quo for places of worship. After the proclamation, Allenby was photographed riding his horse away from Jaffa Gate. This photograph below was taken on the day of Jerusalem’s surrender and shows five British generals. A monument to the surrender was later erected in Romema in west Jerusalem where it still stands until today. All of the black and white photos above come from the Early 20th-Century History volume of the American Colony and Eric Matson Collection. The complete PowerPoint file of the 1917 Turkish Surrender is available as a free download. Egypt announced the discovery of two private 18th-dynasty tombs in Luxor yesterday. Heath D. Dewrell provides an introduction to child sacrifice in Israel that is based on his recent monograph on the subject. The Jewish Week interviews Lawrence Schiffman about his involvement with the Dead Sea Scrolls. The Anglo-Israel Archaeological Society has posted its schedule of spring lectures. Writing on Forbes, Sarah Bond suggests five ways to listen to the music of the ancient world. With Germany’s refusal to recognize Israeli ownership of the Dead Sea Scrolls, the Israel Antiquities Authority is not allowing any scrolls to be part of a special exhibit at the Bible Museum in Frankfurt. This week on The Land and the Book with Charlie Dyer: a discussion on Biblical Customs and Curiosities with George Knight. Tel Lachish and Tel 'Eton are the latest stops on the tour schedule of Israel’s Good Name. Ferrell Jenkins shares a photo of a new scene he saw on his last visit to Bethlehem's Church of the Nativity. If you've ever wondered how an expert restores dozens of pottery sherds into an intact vessel, watch this short video. Check out this site if you're interested in touring southern Jordan on a bike. Or ride your bike 850 miles (1,400 km) in the Holyland Challenge from Mount Hermon to Eilat. Wayne Stiles has created a new Christmas video series entitled “The Promise That Changed the World.” These three videos were filmed entirely in Israel and include new drone footage. The first video focuses on the prophecies of the birth of Jesus, and this video was released this morning. The second video looks at the birth of Jesus and the announcement to the shepherds. And the third video is centered on the Magi and King Herod. They are all free and you can access them here. If you’ve been a reader here for long, you know how much I appreciate Wayne’s insights.